In the past five years, Denver’s dining scene has seen a rapid resurgence of an age-old concept: food and market halls. But these trendy hubs have yet to address the prevailing issues within the American agriculture industry—until now. 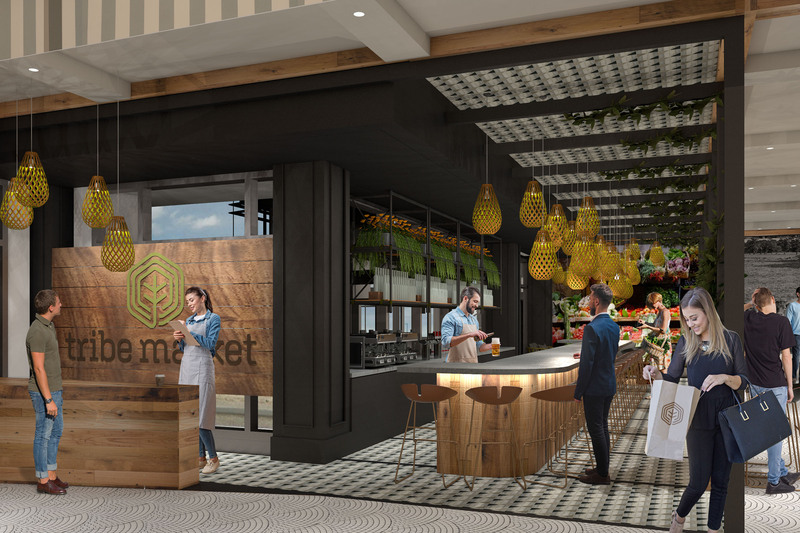 Enter our latest design project, Tribe Market, an urban marketplace that will put sustainable agriculture and holistic dining at the forefront. We are honored to be working with founder Todd Colehour, who is known for his popular Denver Highlands bars Williams & Graham and Occidental, to design a sprawling European-style market and high-end restaurant all under one roof. 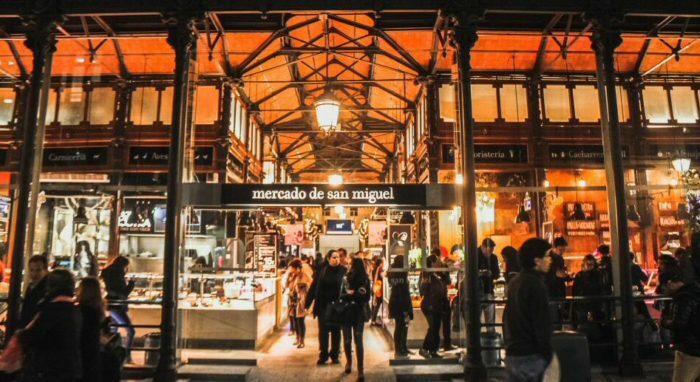 The historic Mercado de San Miguel in Madrid, Spain, inspired the general concept and design of Tribe Market. Each year, Colehour takes the Williams & Graham staff on a team trip to experience other cultures, unwind and regroup. While in Madrid a few years ago, they wandered into the Mercado de San Miguel—a historic market brimming with local produce, pastries, seafood, and freshly butchered cuts of meat, all within a beautifully designed space. Colehour was so inspired he decided to launch this concept in Denver. 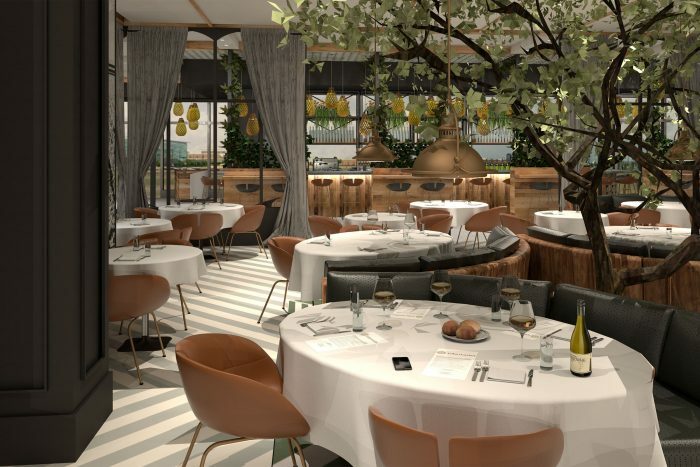 A high-end restaurant is slated to be situated at the heart of the design. Live trees and greenery will be added to bring the outdoors in. 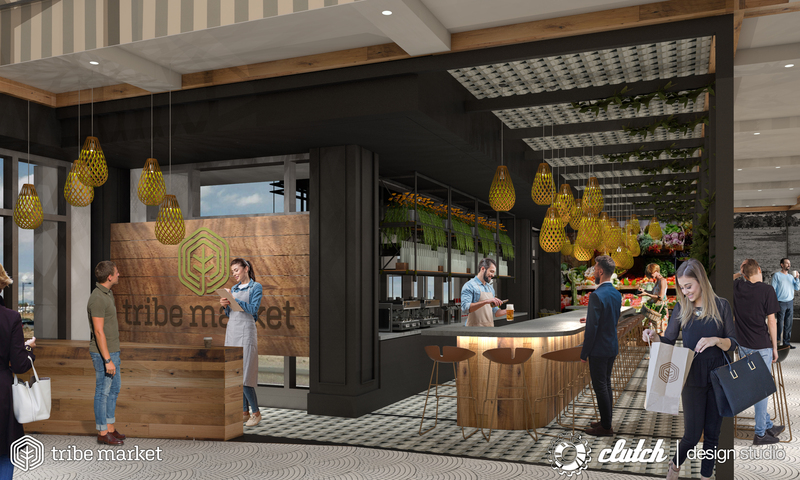 Tribe Market will feature an upscale restaurant at the center of its design, with an open-air market circulating around it. Stalls will include a butcher, baker, root cellar, seafood monger and a pantry area, all with fresh recipe-driven ingredients harvested from local farms owned and operated by Colehour, as well as other regional growers. For the design, our team at Clutch aims to echo Tribe Market’s holistic philosophy by mixing sustainable, organic materials with modern forms and urban-inspired style. 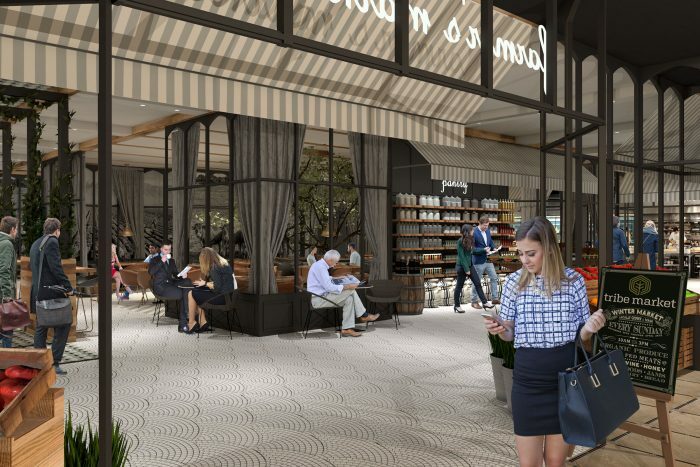 The market will include several seating areas where guests can enjoy coffee or lunch. High ceilings, open architecture and live plants will be implemented to make guests feel as if they’re wandering through an outdoor street market. We are only in the beginning phases of this innovative project. Check back soon for updates on the design process, and follow us @clutchdesignstudio to watch the vision come to life.